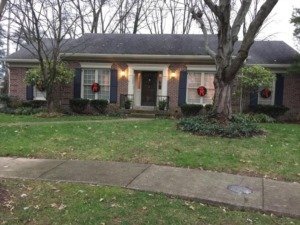 This beautiful home sits on a quite cul-de-sac with lots of mature trees. 3 bedroom, 3 bath RANCH home with a finished basement and tons of storage. The kitchen has granite countertops, newer appliances, large windows overlooking two decks and an oval in-ground pool (with heater) from Gym and Swim. The backy yard boasts tons of privacy and beautiful landscaping. Family room has vaulted ceiling, wall of built-in bookcase, bar area and gas fireplace. Two car garage.